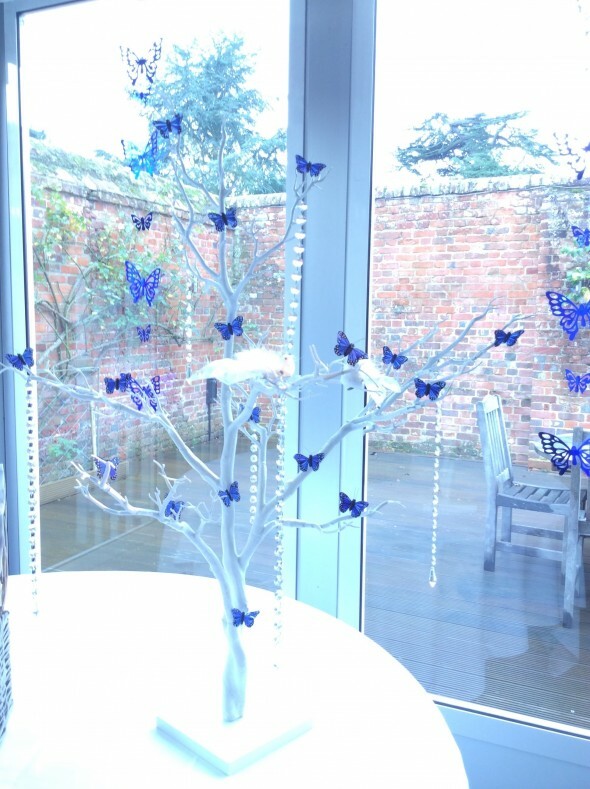 ​Braxted Park Estate, a beautiful Queen Anne house set in its own historic and unique parkland setting in the heart of Essex.was the chosen venue for this gorgeous butterfly themed wedding. 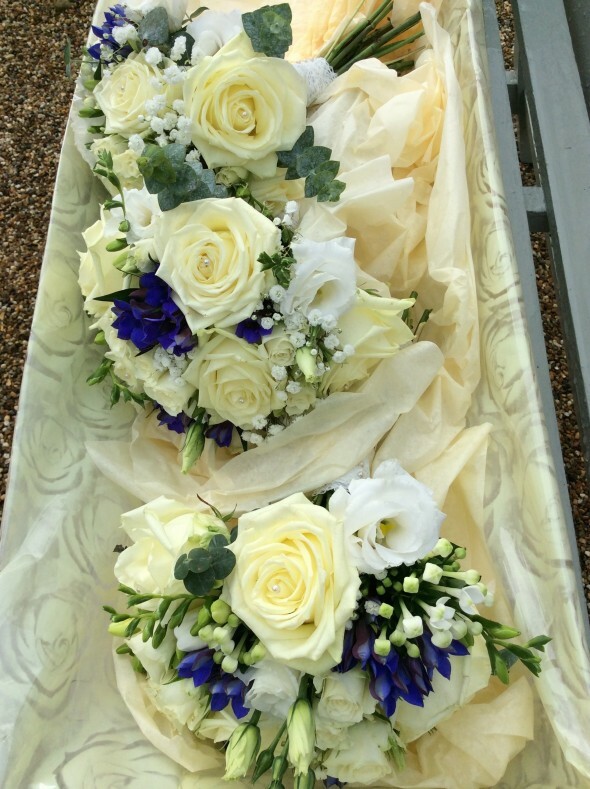 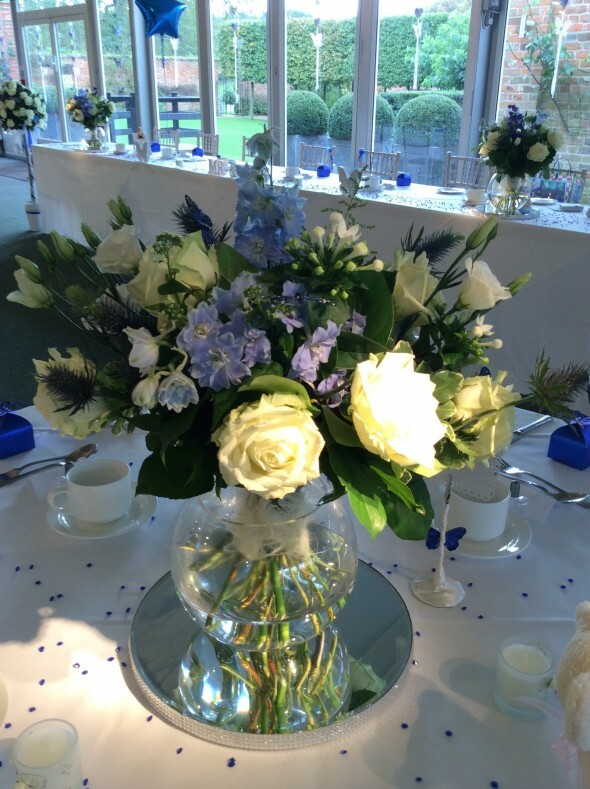 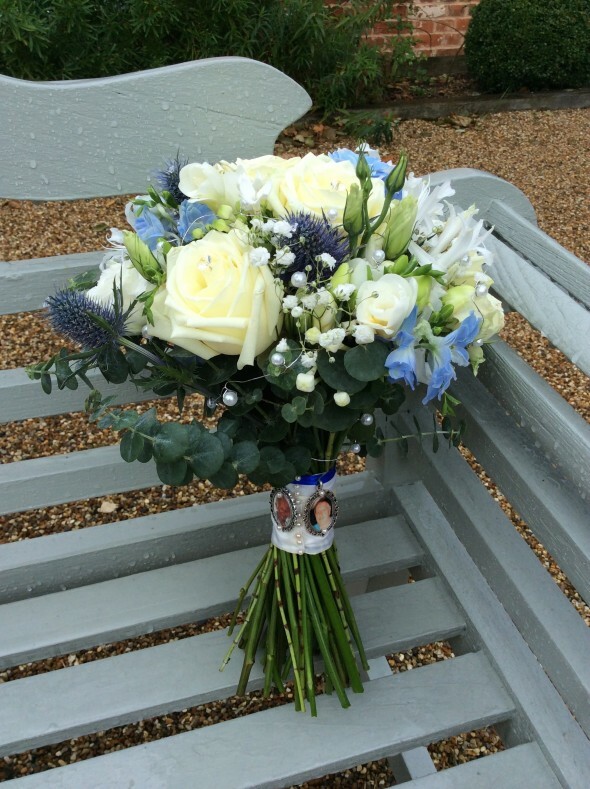 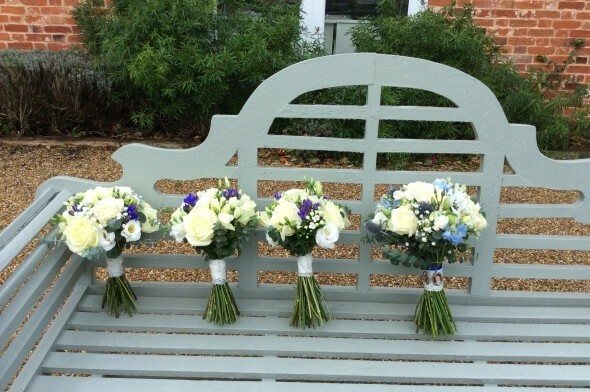 The brides loose textured bouquet consisted of different shades of cream flowers with hints of blue throughout and dainty pearl pins added to give it elegance and glamour. 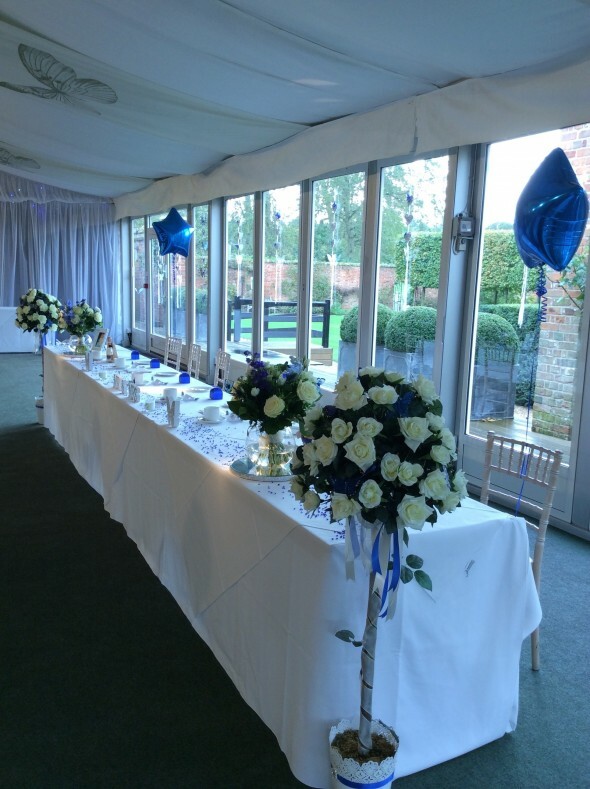 The venue was dressed with our own glass fishbowls on mirrored plates, with beautiful blue crystals scattered on each table.